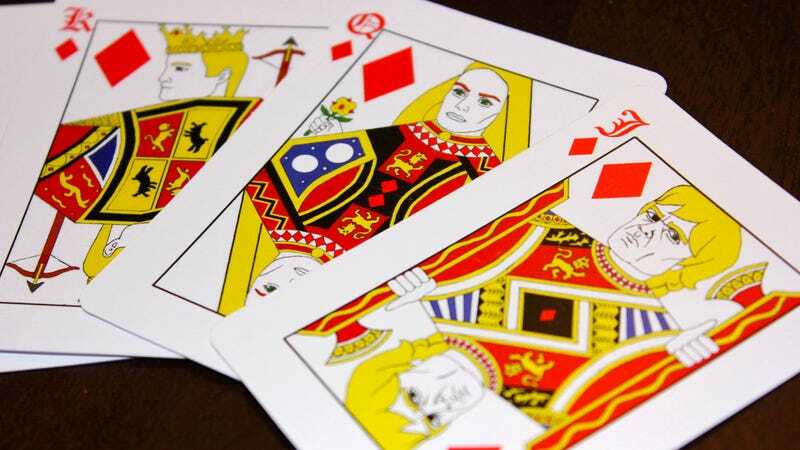 Etsy shop JokerandtheThief has turned the characters from the medieval soap opera Game of Thrones into a perfect hand-drawn deck of cards featuring characters from the second book in the Song of Ice and Fire series, Clash of Kings—while they’re all still alive. You can order a deck for just $20, but you’ll want to do so sooner rather than later. This isn’t an officially-licensed Game of Thrones product, and once HBO catches wind of it, its legal team is going to go all Red Wedding on this Etsy shop.